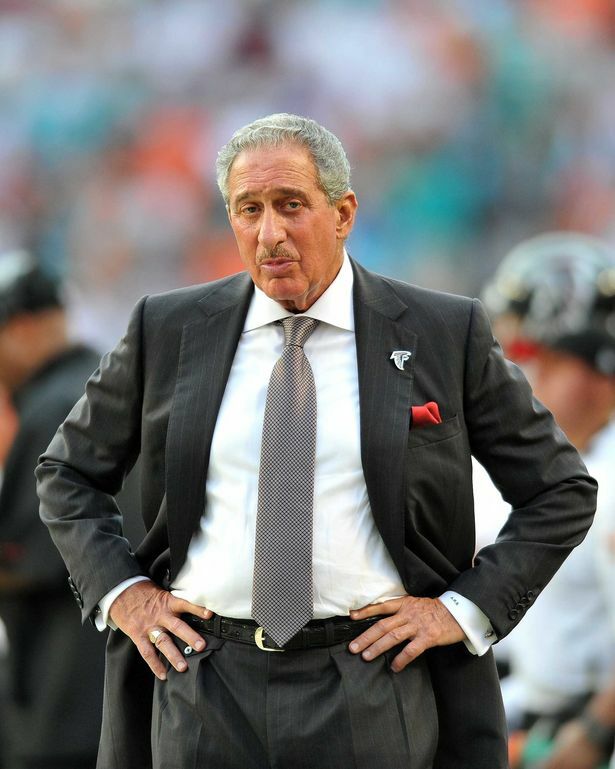 But it got me thinking: Do players whose roots go back to Atlanta want to come home? In 2012, as Dwight Howard readied to actually leave Orlando once and for all, Atlanta seemed to be in the running. 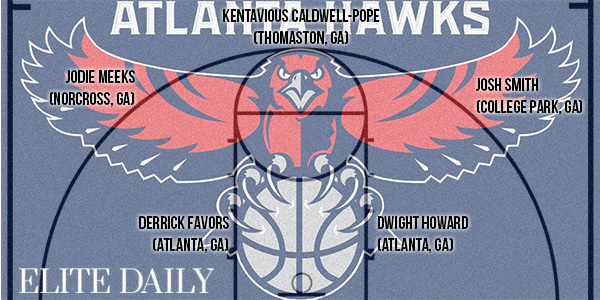 Josh Smith, his old AAU teammate on the Atlanta Celtics, was a Hawk. D12 had been the best man at Smoove’s wedding in 2010. But he couldn’t resist the pull of L.A., and the Hawks struck out. Even Smith eventually left for Detroit in the summer of 2013—though many fans were ready to see him and his quizzical shot selection skip town (as was the new front office). No one will take Atlanta’s money, despite a good core of players, a very good coaching staff, and an innovative style of play Mike Budenholzer has only just begun installing. Some stars won’t even meet with them. I almost wanted to hug Budenholzer when I saw him in Vegas. The most common theory among insiders for Atlanta’s lack of appeal is that players see the Hawks as a dull franchise with a dead crowd and a limited postseason history that almost always involves NBA TV. That will turn around at some point, but just about everyone Atlanta has approached so far rebuffed the Hawks’ invitation to get in on the ground floor. It’s not surprising that a team that has never even been to the Eastern Conference Finals is having trouble luring top tier, or even second tier free agents like Luol Deng, who spurned them for the suddenly rebuilding Heat. But what makes it at least a little shocking is that, like L.A. and New York, Atlanta is a playground-type city for a lot of the NBA’s premier personalities. NBA veteran (and former Fab 5er) Jalen Rose placed Atlanta atop his favorite cities in America list, saying that even in the off-season players will still kick it in the A. But the A and the Hawks are two different things. According to a recent post on the Houston Chronicle‘s Ultimate Rockets blog, Dwight Howard loves the city, but “he would rather stay away” from playing for the team he cheered for growing up. 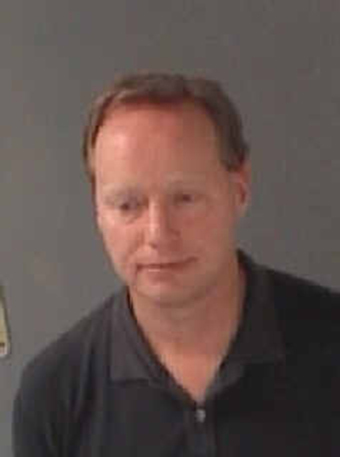 Coach Bud, after a few too many Buds? With more than a full two months to go before the start of the 2013-2014 NBA season, one would figure the Atlanta Hawks had a good shot at not appearing on this site. After all, they’d pulled off another remodel this summer, headlined by shipping out flashy but challenging power forward Josh Smith and replacing him with the more workman-like and dependable Paul Milsap. Solid move, as judged by most basketball pundits. They also hired Mike Budenholzer as their new coach. The top assistant and presumptive coach-in-waiting behind the legendary Gregg Popovich in San Antonio, he was hired to imbue the Hawks with some of the special powers of the Spurs. He joined Hawks general manager Danny Ferry, who had previously been VP of basketball operations for the Spurs. True to Pop philosophy, in this year’s draft, the team eschewed American college stars in favor of two youngsters who had been plying their trade in the professional leagues of Europe, Brazilian Lucas Nogueira, who played in Spain, and German Dennis Schröder. Schröder, in particular, was impressive in summer league this year. No word on what the Hawks plan to do about this situation, but Ferry has informed the media that he’s up-to-speed on the situation. But, really, this likely doesn’t bode well for a franchise that’s been in Atlanta for nearly 50 years and hasn’t made it past the second round of the playoffs. We still don’t really know what kind of leader of men Coach Bud is, but he isn’t doing himself any favors in the setting a good example department. It’ll be interesting to see what he does to right the ship. If he doesn’t, Coach Bud won’t just be a clever way of truncating a long surname. There’s a reason no writer representing San Francisco contributes to this blog: SF teams, more often than not, finish the drill. Atlanta teams, sigh, tend not to. The Hawks have never made it to the Eastern Conference Finals, much less the NBA Finals. The Braves went to the playoffs 14 years in a row and managed only one World Series win—the city’s sole championship. 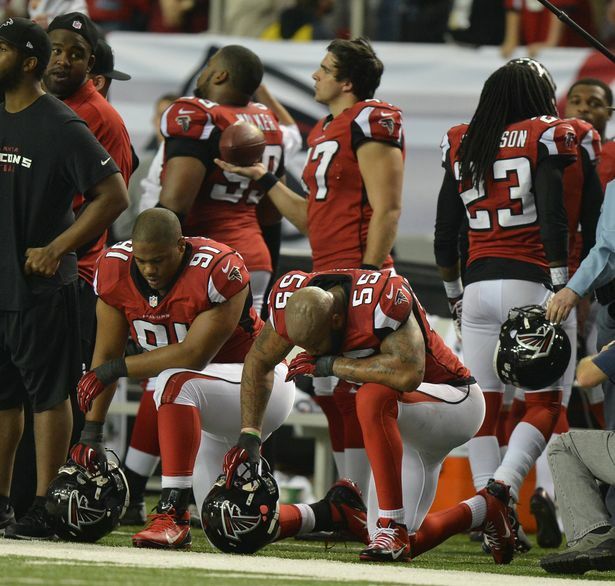 Now the Falcons have reached the NFC Championship game three times and will once again not win the Super Bowl. But, through three quarters of yesterday’s thrilling NFC Championship Game, it looked like the latest edition of the Falcons could make the franchise’s second Super Bowl appearance. That will not be the case. SF teams come up big. ATL teams come up small. 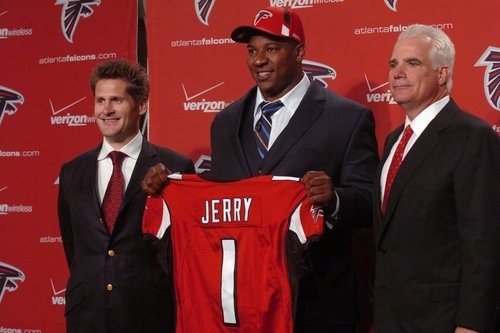 My worries with the new era of the Falcons, led by the Dimitroff-Smith-Ryan troika, crystallized on November 27, 2011. I never was too bothered by the first two playoff loses suffered by this regime. Losing to the eventual NFC Champion Cardinals on their turf with a rookie QB in his first playoff game was tough, but reasonable. The defeat to the Packers was harder to take, but that team was a buzzsaw. 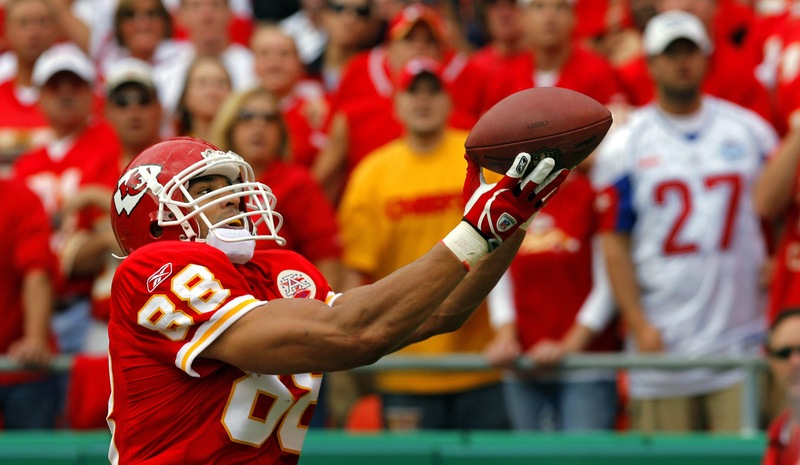 And, that’s been evident in their no-show in the Wild Card Game against the New York Football Giants last year; several skin-of-their-teeth victories this season over bad teams, including the Cardinals and Raiders; and their two most recent playoff games. The Falcons impressively fast starts against the Seahawks and the Niners have been tempered by equally shocking swoons. 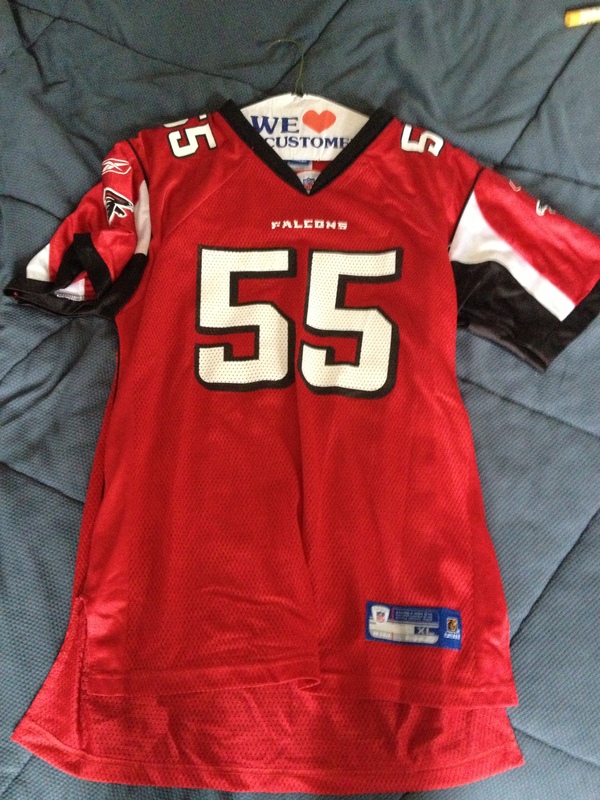 A John Abraham Falcons jersey, on its hangar and heading back to the closet until the fall. Against the Niners, they failed to score a single point in the second half, after having their way with the visitors in the first quarter of the game. Once again the Falcons only seemed to play offense for one-half of a football game; and however amped their defense was on the first couple series of the game, it was significantly more porous soon after. After letting the Niners recover from a 17-0 deficit and pull to within three points, the Falcons showed some pluck and put together a quick strike scoring drive to go into the half with a 10-point lead. Maybe today would be different? Alas, it wasn’t. Matty Ice went cold, throwing an interception (that to be fair wasn’t his fault) and fumbling a snap. John Abraham was clearly ineffective—and I think someone needs to take a long look at why he was playing in the fourth quarter of a meaningless game on December 29. The better team, who’d been here before and squandered its opportunity last year, won. People seemed certain the 49ers would be back to avenge their loss; I get the impression that many think the Falcons just blew their one chance. The fans, from what I hear from several people (including my parents) who went to the game, did their job for the entire 60 minutes. The city has risen up, as it is continually prodded to do, and embraced this team of talented underachievers. I’ve called the Falcons “the most considerate team in football.” They should be more considerate to their fans than to their opponents.